The big story heading into Game 5 of the Stanley Cup Finals on Thursday night was NHL great Alexander Ovechkin possibly hoisting hockey’s Holy Grail for the first time. However, when it was all said and done, and the Capitals had won the Cup, it was Ovechkin’s teammate, T.J. Oshie, who stole the show. Oshie gave one of the most heartwarming interviews you will ever see to CBC’s Scott Oake after taking his skate with the Cup. 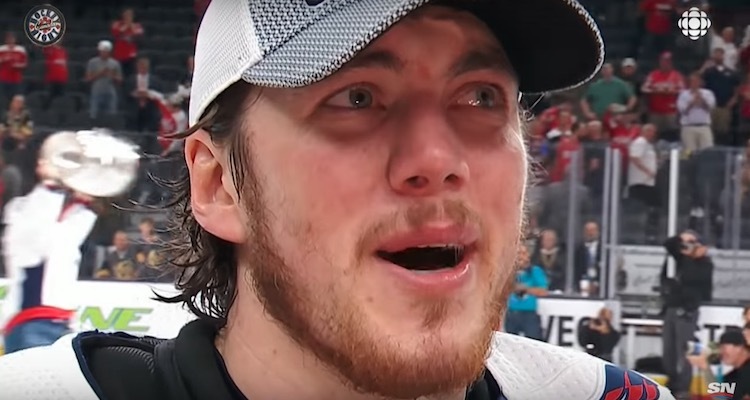 When asked what the win would mean to his dad, Tim Oshie, who was diagnosed with Alzheimers back in 2014, things got emotional. Prior to Thursday, Oshie was best-known to American sports fans for his shootout heroics against Ovechkin and Team Russia at the 2014 Winter Olympics. Now he’ll always be known for this. Now, go ahead. Use the phone in your hands to give your dad a call. I know you want to.